Almost everyone in recruiting agrees that employee referrals produce the highest quality of hire (i.e. superior on-the-job performance). But few are aware that the references provided by new hires, with little work, can also provide outstanding referrals. I call them “reference referrals” and both the concept and the execution are easy and straightforward. Once the new hire has proven themselves on the job, you simply call their professional references back and thank them for providing an accurate reference. But then you pop some variation of a simple question: “Do you happen to know anyone else who is at least as good?” Well, because as Google puts it, “good people know other good people” in almost all cases, this single call will get up to three great names of quality prospects. And in addition, the reference referrals are free. The call is easy because these references have helped once before and you already have their contact information in your hiring file. Quality — they produce high-quality prospects and hires. No cost — they essentially cost nothing other than a 10 -15 minute call. You already have their contact information — because the process uses already provided job references, you already have their contact information in your files. An existing relationship — since you have already called them once, you have a relationship that almost ensures that they will take your call again. No training — the process requires no training, so almost anyone can do it successfully. A proven track record – if you wait until the new hire proves themselves, you already know that these references have a proven track record of knowing talent in their field. Positive results — initially you may get 3-6 great names from the job references of a single new hire. They will help you sell the referrals they provide — if you praise them enough and ask them for their help, the references will also provide you with information that will help you know the capabilities and eventually sell the individuals who they have referred. Continuing help — after your initial request for names, if you ask them, these job references may become a permanent source of referrals. Mentioning a reference’s name gets you in the door — the job references of top performers are almost always well respected in their field. So when you tell a newly discovered prospect that a reference recommended them, they are almost always extremely responsive. The references themselves may be a good target — because the references who you are calling may be one level up in experience and performance, you should also target the references for future hiring. They provide new names — because these references are not your employees, their referrals are not likely to be the same ones that have been provided by your employees. Because great people know other great people, it makes sense to, whenever you have a chance, ask the best to provide you with the names of the top people they know. A reference referral is simply asking job references to go beyond the traditional reference role and to also act as a referral source. Start by mentally asking yourself this question … “What are the odds that the reference will only know one top performer (the one who applied and was hired at your firm)? They usually know several other excellent potential candidates because most references are one level higher in job title and performance than your candidate. A-level references know lots of A-level talent. Because the concept is so intuitive, calling the reference doesn’t require a lot of sophisticated pre-work. But if you need guidance, here are my 12 recommended steps to follow. Decide which jobs to target — this process has the highest impact on jobs that have openings on a regular basis. Use this process on currently open jobs. But if there is no current opening, consider placing the names that you capture in your candidate pool for future openings. Determine which references to call — if you verify new hire performance before calling, you can call each of the references who provided positive feedback. But if time is limited, select only the individual references which provided the most accurate recommendations. Thank them for their help — start off by thanking them for their help. Then let them know that you hired and are pleased with the individual they served as a reference for. Knowing that they were right once will likely cause them to be more willing to provide help again. Ask for their help once again — after the praise, tell them that you are continually searching for top talent. And then ask them: “Would you be willing to help out again by giving us one or more names of some additional equally or better qualified candidates?” If they need more time to think of names, ask them for permission to contact them again in a day or so. Next do a LinkedIn or Google search on the names they provided to see if they are worth pursuing as a job prospect. If you don’t currently have an opening, consider calling the referrals themselves and asking them for additional referrals. Ask the reference to continue helping — if you are pleased with the names you get from this call, ask them if you can re-contact with them periodically for future referrals. Also, consider asking them to be proactive and to contact you whenever they run into other top talent in their field. Build a relationship — if you have the time, periodically re-contact the individuals who offered to continue helping in order to build a relationship and to remind them to keep sending you names. Connect with them on social media and use a CRM process to remind you to periodically keep in touch. Ask the reference to help in contacting their prospect — if they are enthusiastic, ask the reference if it’s OK for you to use their name as an introduction when you call the person who they have just referred. If they are really enthusiastic, consider asking them to call the candidate first for you. The goal here is to warm up and to pre-sell the preferred person, as well as to let the preferred person know that you will be following up with a call soon. Contact the preferred prospect — when you call the reference referral’s candidate, tell them who referred you and why you’re calling. Assess their interests and then sell them on the firm and the job. Also, if they are not currently interested in a position, ask them if it is okay to keep in touch and to push any relevant open jobs to them. Relevant job openings can also be pushed to your reference referral people on the chance that the opening announcement might by itself remind them of possible candidates. Ask your new hire to help in recruiting — once you get additional names from a new hire’s references, approach them and ask your employee if they know any of the newly referred individuals. If they do, ask your new hire to help in recruiting them. 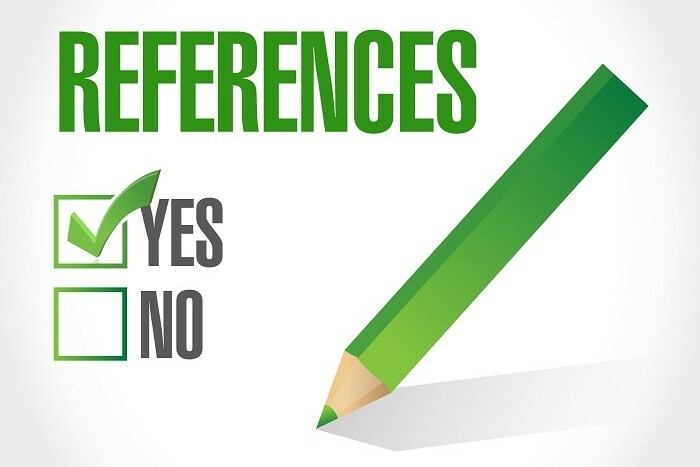 Consider the references as prospects — obviously if they prove to be well-connected, you should also consider targeting the proven references themselves for future positions at your firm. Track program effectiveness — as with all good recruiting programs, you should insist on metrics (including quality of hire) to measure its effectiveness. So after hiring a few candidates using the reference referral tool, gather metrics on the results. Use those results to determine what worked in the reference referral process and what didn’t. Then use the metrics to continually refine your approach until you get the maximum yield and quality out of your reference referrals. Other variations — if you are bold, you have additional opportunities to ask others to provide the names of top candidates. Consider asking finalists for an open job during their interview to demonstrate their knowledge of the players in their field, by citing the names of the top five performers they know. Not only will you get additional names but you can also assess whether your candidate is well-connected. If each of the four finalists provides five names, you now have 20 names for your candidate pool for your next opening. And finally, you should also ask new hires during onboarding, “who else is really good at your former firm?” Because they are new, they are almost always willing to enthusiastically help. Managers frequently ask me “what is the best recruiting source to use when you have no budget, little time, and don’t know much about recruiting?” Without hesitation my answer is … “Reference Referrals.” They work almost everywhere, but they should be at the top of your sourcing tool list in organizations with a limited recruiting capability and no extra budget.